If you are here, there is a good chance you either write or you read -- probably both. Since this is a writer's blog, you probably come to check out the latest romance writing news, or other ramblings of this author. In order to do that, there is one essential thing you must be able to do -- read. Sounds easy enough, huh? Not so for everyone. Yes, even in today's world. CBS national news correspondent Byron Pitts was one of those children who was on his way to being an adult with low literacy. At twelve years of age he was diagnosed as functionally illiterate. Recently, he released a book about his struggles. Step Out on Nothing: How Faith and Family Helped Me Conquer Life's Challenges tells his story. You can buy his book at Better World Books and by doing so, are also helping others get help learning to read. 100% of the net profit of the sale of the book from the Better World Books website will go to the National Center for Family Literacy to support literacy efforts worldwide. 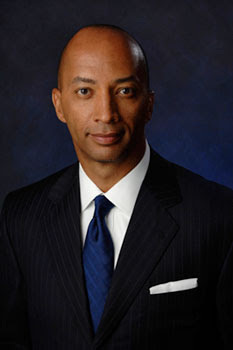 Byron Pitts was recently named to the board of advisors for the National Center for Family Literacy. You can read more here. Watch and listen to the recent interview with Byron on the CBS Early Show below.